Mini Nintendo Super Famicom - 3D Printed! 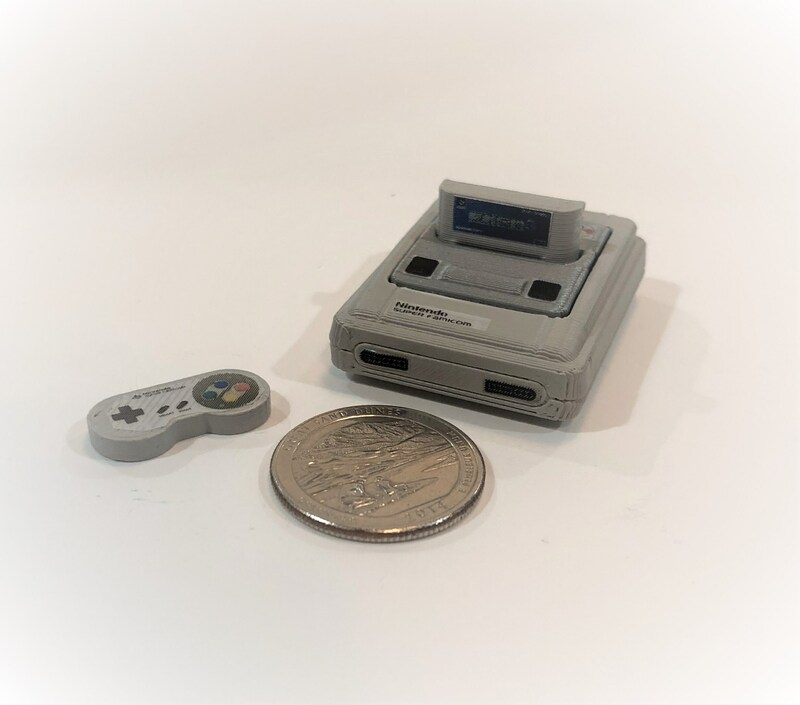 This tiny, 1.75" Nintendo Super Famicom was designed using open source CAD software, 3D printed on a Makerbot Replicator, and hand painted and assembled. Includes the console, one controller, and one cartridge. A great addition to your desk or studio. Mini Commodore SX-64 - 3D Printed! Mini Nintendo Famicom - 3D Printed! Mini Nintendo Game Boy Classic - 3D Printed! Mini Commodore CDTV - 3D Printed! Mini Nintendo Wii U - 3D Printed! Mini Zenith 13" Space Command Color TV - 3D Printed! Mini Nintendo Famicom deluxe set - 3D Printed! Mini Nintendo Switch - 3D Printed!